This slim volume strongly resembles a pocket Bible. Translucent crinkly gilt-edged paper, ribbon bookmark, cheapest-possible leather-ish binding, text in 6.5-point Myopia. It even numbers every second line of text, to make it easy to quote chapter and verse, as it were. It's rather slim, though, with only 206 pages. 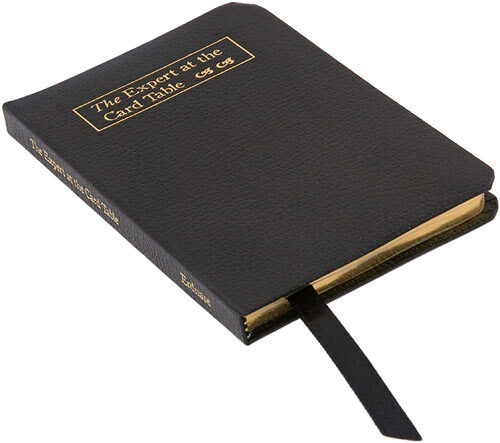 And it is, if you ask me, likely to be rather more useful than a Bible. It is The Expert at the Card Table, by the mysterious "S. W. Erdnase". This 2007 edition is published by the Conjuring Arts Research Center, but you can get others, because the author didn't renew his copyright after he wrote the book in 1901. As is the case for many other mildly odd books that look as if you'd have to dig through dusty used-book shops to find them (that Tintin book with the big-lipped savage natives in it, say), you can buy a brand new copy of The Expert from Amazon for fifteen US dollars. Amazon also have a nine-dollar paperback version, which might be more practical for actual study, especially if your eyesight isn't the best. And because the book's not copyrighted - though many of the engravings still have "Copyright, by S. W. Erdnase, 1902" under them - you can also legally download various e-book versions of it. Here's one in PDF format, for instance; here's another. I don't have very high hopes of ever actually mastering many of the techniques in The Expert, but I shall do my best to study it with the devotion it deserves. I think the world would be a better place if more people did. The other day, for instance, I met a very nice lady who believes one J.Z. Knight is on the level when she claims to be able to channel "Ramtha", a 35,000-year-old spirit from Lemuria who was responsible for most of the quantum flapdoodle in "What the Bleep Do We Know!?". The nice lady explained to me one of the reasons why she chooses to keep up her membership of what some people might describe as the slightly kooky Ramtha's School of Enlightenment. That reason is that some other members of the Ramtha organisation are "able to see through the back of playing cards", even if those cards come from a brand new and untouched deck! She thought it was very closed-minded of me to observe that this sounds not unlike a card trick. It actually, now that I think of it, doesn't sound like much of a trick at all - it's more like the exercise you do to learn how to read your marked cards, or interpret what your plant in the audience is signalling to you, or practice your off-by-one reading in which the card that's shown to the audience is actually one you've just been looking at face up, while pretending to concentrate on a different one. Or, you know, whatever. A good card magician could probably do this trick every day for a month without repeating a technique. When a card mechanic rips you off, you at least know you lost the game, though you may think it happened fairly. Religious hustlers make their audience think they're buying something of value. The Expert at the Card Table is a fine addition to my Tiny Book Library. My dusty old 9th Edition Pocket PC Ref is of very limited utility these days, but Pocket Ref will go on forever. I just flicked it open to three random places, and got a trigonometry table, RF Coil Winding Data, and the specific gravity and angle of repose of granulated sugar. A classic! I fondly remember hours of my youth spent with that book, among others. Thanks tremendously for that link for Pocket Ref! Just picked one up, and based off of the reviews and Amazon's "Look Inside! (TM)" feature, I'm sure I'll get good use out of it. Gah... you reminded me, indirectly, that my friends birthday is next week and I've wanted to get him a Pocket Ref for some time now. Since I'm not in the mood to wait for Amazon to deliver one I figured I'd drop by my local mega bookstore (Borders) and pick one up (I still prefer to shop for books in a store - perusing the aisles I find interesting works I'd not easily find online - plus, I like the smell of lots of books). So, I called them and they do have 2 in stock (yay!) but I also found out that they are closing down (boo!). But were those three random places chosen from a uniform distribution? If you like books full of random facts I suspect you'd love "Schott's Original Miscellany". I got mine as a present, but I just looked it up on amazon and its $7.59, which aint going to break the bank: http://www.amazon.com/exec/obidos/ASIN/1582343497/dansdata (have added in your referral link thing). 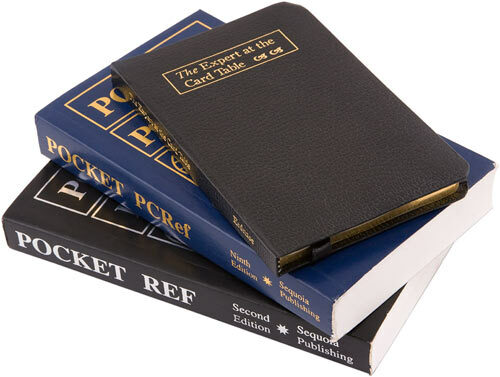 Next time I make an amazon order i'll have to get a couple of those Pocket Refs, and the card one too. "...text in 6.5-point Myopia" made me snort. I can't wait for the day when you give your thoughts on Scientology. standard wiring color codes, density and melting points of materials from "magnesium casting alloy AZ63A" through "Steel, heat-resistant, HC", and military rank ladder and insignia for the US army and marines, to repeat the random-three-pages experiment. 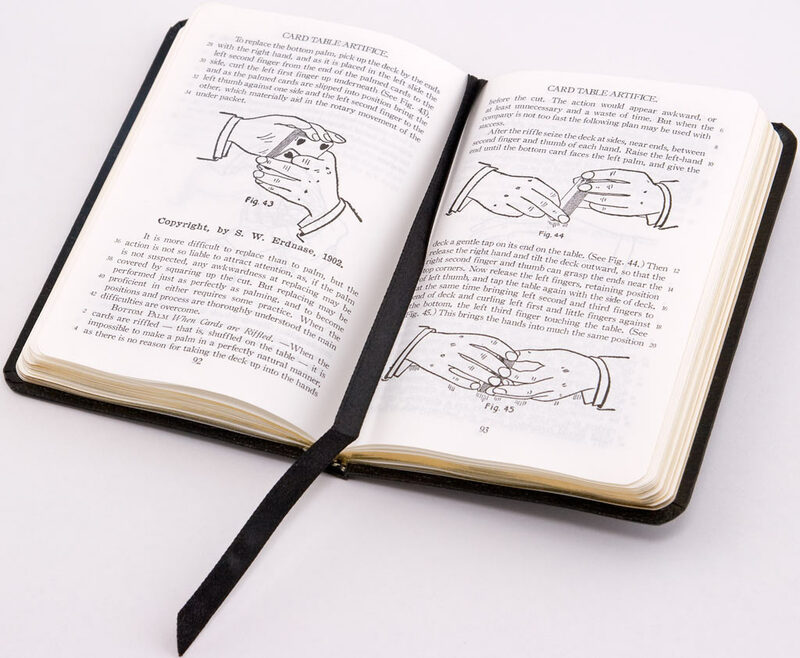 Scuse me, I just looked at the cover and my Pocket Ref is actually third edition, printed September 2006. Your included picture fooled me, Dan, I thought second ed. was the latest. Still amazing, but now more up-to-date! If they had that book in my church I'd go more often. Then I would ask 'the big guy' for a favor while I was there.